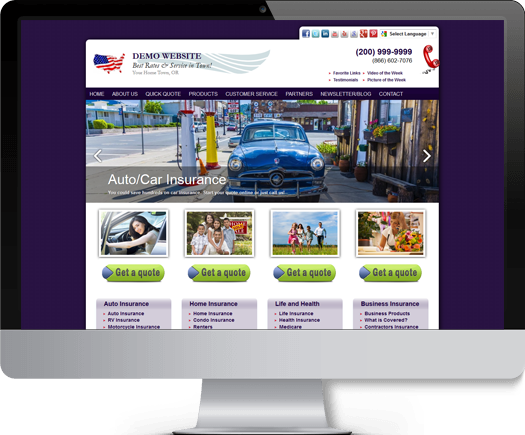 We Sell the Most Popular Insurance Sites in The USA! Most Insurance Content & Best Pricing Anywhere! Our website is designed to not only impress your clients but also to help you market business and health insurance. As an insurance agency ourselves we have come to the conclusion that marketing business insurance online is a lot more effective than personal lines, with a lot less competition! Also, considering that personal lines can take 90% of your time for 10% of the commission it just makes sense. The pages, articles and content on your website are professionally written and reviewed by insurance agencies, which are relevant and educational to your visitors.